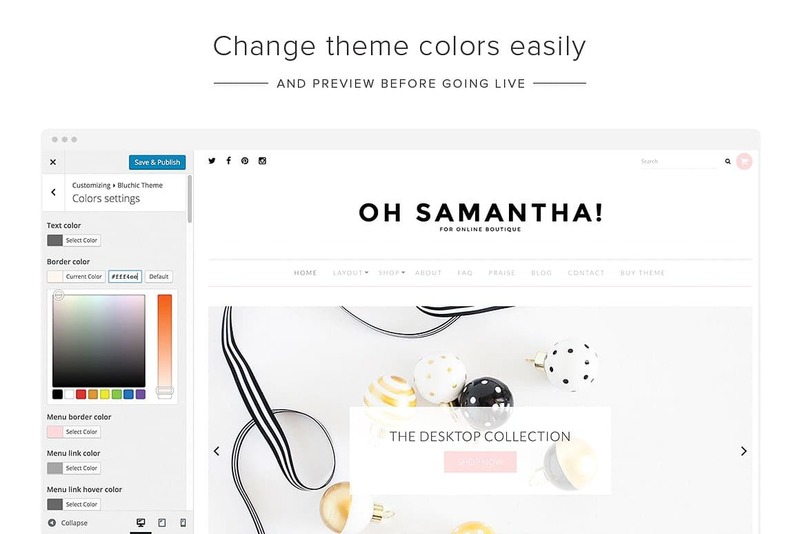 Samantha, an eCommerce WordPress theme – a premium theme that is WooCommerce ready and perfect for your online boutique. Get your online shop set up and start making sales today! 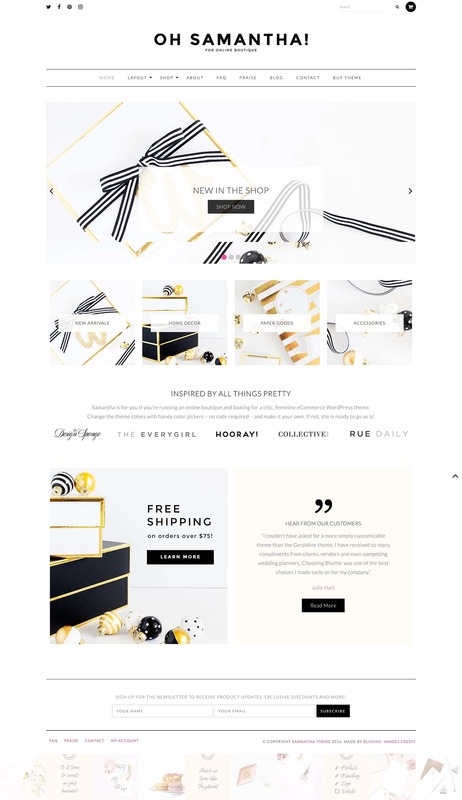 Samantha, an eCommerce WordPress theme – a clean and minimal premium WordPress theme that is WooCommerce ready and perfect for your online boutique. Get your online shop set up and start making sales today!